Kartik fell in love with Ashima the very first time he saw her. She was everything he had ever imagined in his dream girl – his angel. As their friendship blossomed into deep love, culminating into marriage, he became her teddy, her confidant and an eternal support. But in trying to be with her, Kartik made a choice that broke his father’s heart and hopes. As Kartik and Ashima gear up to step into the next Phase of their relationship, life seems like an overload of joy and love. He is confident his love for Ashima will win over all odds, even his father. Little did he know that things were going to change drastically, forever. Why does Ashima marry someone else? Why does Kartik accept it silently? And why is life so unpredictable? 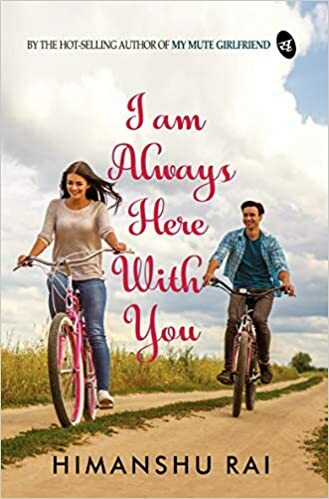 This is a story of deep love that knows no bounds, relationships that break all barriers, and a promise – I am always here with you. The cover is really romantic unraveling a sweet love story along with the really mellifluous title as well. The story starts with Kartik and Ashima’s school story how they fall in love and even have a married life but as always once cannot always please everyone. His father is really agitated after he is marred and starts to maintain distance. While ashima and Kartik really go along well together and also are about to have a child Tragedy never has to leave space in amidst everything. Kartik is gone forever and so are their dreams for the happy married life and forever. The letters left by Kartik is all that Ashima clings on to till the end. Keeps re-reading them as if Kartik is still around and having them looked by. What you will really love reading is the letters and how there is a twist in the story also the epilogue will leave you in awe. The last few pages are a emotional ride. I did not like at times the constant to and fro from their childhood to present but an okay read. A sweet story of love and remembrance. A young soul trapped in an old body. A ticking clock slower than time. Can this be the ironic destiny of 600 million bright and young Indians? Are we born free and yet trapped by our circumstances? 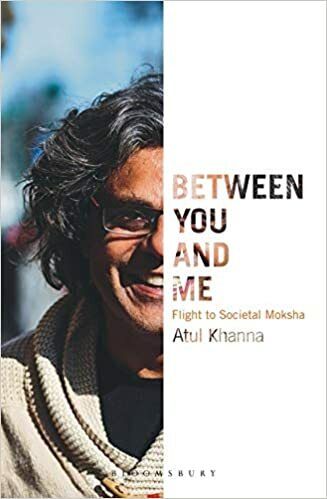 Between You and Me is a conversation that makes the reader ponder about the much-needed transformational changes for the twenty-first century. Why should we get up to act only when we are pushed to the corner? After all, a stitch in time saves nine. Could it be that the parameters of economics, administration, democracy, and social and political constitutions were all ideated and executed for another era? Will tinkering with these institutions help or are fresh ideas needed? Encompassing an extensive discussion and analysis of what comprise our society-government, economy, education, healthcare, science, technology and so on-this book gives the reader a holistic view of India and helps in deriving solution-oriented ideas for a new societal design and structure which will ensure a thriving democracy. It presents the hope and aspiration of an ancient society that wants to break through the colonial legacy and land safely into the future. It is a gripping petition with operating models for redefining the citizen’s role-from the audience to the hero-which, if implemented, would bring societal moksha of peace, power and prosperity. A much needed conversation about the society in book-form. The book leaves you in awe from the foreword itself with it’s extensive vocabulary and ideas. The book is all about the society and how should we deal with it. In the end of every chapter there are some bullets to get the gist of it. The book has been written phenomenally, friendly and sometimes of a sarcastic tone. The book is all about where we are wrong with examples from the past and all that is going on right now. The author’s way of jotting down the book with such intricate details and observation is really commendable. The book is a long read but really is interesting with so many things to learn/know and apply. A book we need to read to see where we could lead the society to. The best thing is there are simple solutions to every problem to. The detailing of everything really makes it interesting. How we need to progress and develop our society more. The cover is simple and goes along well. The title is rather witty and intriguing. 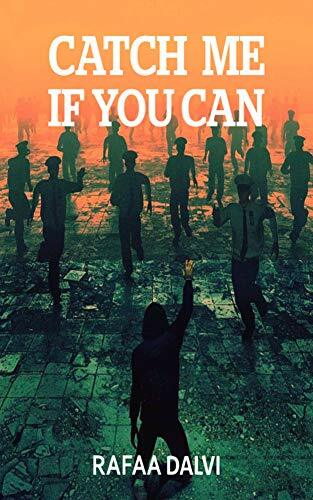 A This book makes you think a lot about the society. The book has been written well just as a conversation. The way it has been written down is really commendable with detailing and such great vocabulary. A thought provoking book our society needs. 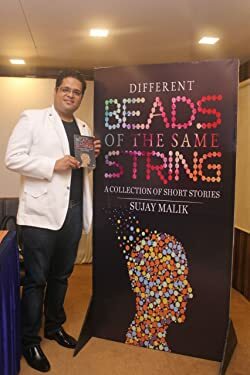 In an interview with Sujay Malik – Author of The sameness in a consistent change and Different beads of the same string. How did you end up as an author? – Well, I always had a skew towards writing, from my schooling days. The written word, in any form, be it poem, story, essay, comic strip, fascinated me. I started by writing essays, then moved onto poems and four-liners. I loved the idea of telling a thing in as less a words as possible. Slowly I graduated into writing short stories. It gave me immense high and I realised I was decent at it. I would definitely like to hone my craft further and I am working on that. After completing my education and getting into a work life I realised that I could try and give my hobby a much more meaningful shape. That’s where I decided that even if I am half decent as what my friends and family gave me credit for, I could try and get my stories out to the world to read. And that’s how ‘Different Beads of the Same String’ happened. 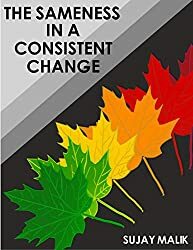 After a bit of hiatus,now I have come up with my new book ‘The Sameness in a Consistent Change’. Hopefully the next one will not take as long as this one took. – In all fairness, you can call me a brooder, a dreamer, a story-teller, a guy next door, a professional, a husband, a son, a son-in-law, a friend; all rolled into one.Now, professionally I am a Chartered Accountant and also have a degree in law and commerce. I work with Bharti Axa General Insurance Company Limited as a Senior Manager – Underwriting. As I said earlier, I am quite passionate about writing and story-telling and that has prompted me to pursue my interest more seriously. My love for books is not too old but pretty firm, but my love for writing dates back to the time I was in school.I love to be alone at times and at other times I like the company of my loved ones around me. I can be moody but I am quite actively passive that way – active in the mind and passive by appearance. You might feel that I am almost non-reactive by nature but that’s just how I look. I am deeply affected by what goes on around me and I choose to talk about all of that through my stories. I like to go on long walks, explore paths and books as well. I also love following cricket and table-tennis. Although I don’t play table tennis any more, which I used to do once, it continues to be an integral part me. I have learnt a lot from the sport and I continue to carry the learnings with me. So that, in a nutshell is what I am all about. Tell us a little what this book means to you? – Oh, needless to say that it means a lot to me. I have worked through the nights to get this out. Not to make it sound like a lot of hard work but I enjoyed carving out the story and the characters. To be honest, I tried to challenge myself with ‘The Sameness in a Consistent Change’. I have literally taken the risk and tried to change my writing style and storytelling abilities. I understand that this style may not be relatable to all the readers and some might feel that there may be an issue with the pace of the story. But this was a risk I was willing to take to try and evolve as a writer. I do not know how successful I have been at it, but it sure gives me joy when my readers reach out and tell me that they saw a noticeable change in the manner in which my second book is written and they enjoyed it. And it pleases me, while accepting the fact that this may not please everyone. But as I said it was a risk I was willing to take.It makes me happy to know that readers have felt a more nuanced form of writing where story and characters both have been sketched and brought to life in a different way.This is very close to my heart and I would like to scale upwards for my next one as well. This learning process is intriguing and I love it. And hopefully better myself, in my third one. Ramanuj seems to be the 21st century man who is confused and doesn’t know what to do. Can you put a little more light on him? – Oh indeed. We are filled with people who know exactly what they want to do and then there are others who are the exact vice versa. In fact so many of them out there cruise through their lives not knowing what they want out of it. And before they realise it, the imminent end is near. Ramanuj is a confused boy as well. But he is happily confused. He does not know what he wants, is an indifferent hopeless and is not bothered about it. That’s who he is, in essence. And then when a drastic event happens you would think that it would prompt a change just like we have been brought up believing thus. But human nature is a mysterious enigma. A drastic event may suggest a change but may eventually not cause it.Ramanuj deals with the pangs in his own way. Lethargy and slowness is a trait he has imbibed and he deals with the drastic change in his life in his own languid manner. The impact of the grief is uniform across personalities but people have their own way to deal with that. And Ramanuj, the core introvert does it in his own style. He loves, but his love is different. It doesn’t lack the passion and pureness, just the expressiveness. In elation of love and even in heartbreak his outward manifestation is similar. This character is very close to my heart and I just wonder how many of them live their life on their own terms and how many live it because they are dictated by extraneous circumstances. The incidents are taken from your very life or is an imaginary story? – Well, I have seen people being caught in crossfires of what is right and what is perceived to be right. And then just to show this aspect of being right, they have to end up doing, what they would otherwise not do. Perhaps for a year, perhaps for more than that, and perhaps even an entire lifetime! But that doesn’t change the way they look at things. Times change, habits change but internal core comes out as only it should. A fiction is just an extension of reality sometimes, and the story in my book is a classic example.The nostalgia is so inherent that when death is imminent one rushes to whatever he/ she would have rather done the entire lifetime. Isn’t this strange? And isn’tthis true as well. May be that’s why they say that truth is stranger than fiction. And ironically my fictional story is the closer to the truth for some of us. What are you expecting with your second book? – That is an interesting question. I wish that it reaches out to the readers and what they can get out of it is what a reader derives from any good book. 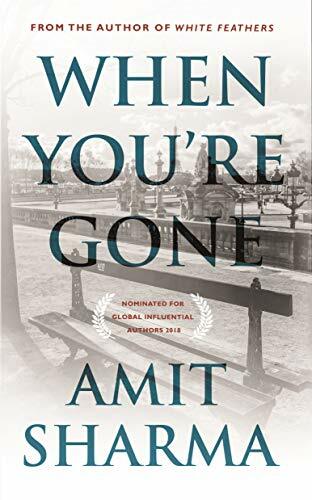 A character that is relatable, a story that is interesting and finally a reading experience that is worth the reader’s time. As I said earlier, I hope I have honed myself as a writer with this one. I do believe I have, but some of my reader’s may not agree, which is quite acceptable. But on the whole I am satisfied with what I have done with my second and I would like the process to simply continue. I do hope a lot of readers buy my book and it is worth every penny for them. Your favourite quote/dialogue from your book? The past was coherent and sturdy. The permanence embedded in it was resolute, so resolute that nothing could obliterate it. Human mind is a strange piece of puzzle. Sometimes it draws a conclusion first and then leads you on to that by some pre-conceived notions. He had a habit of blaming nature for some things in which nature didn’t have much to do. The idler in him craved his past. The compulsive ambition in him looked to the future. In between lay his present which wasn’t sure when it would snap when pulled at either strings. Any troubles you face while finding publishers? – Not for this one. I used KDP and it worked just fine for me. It was pretty quick and efficient. And I hope I can reach out to maximum readers through this medium. Are you reading any book currently? What do you like about it? -I have just started reading Agatha Christie’s Hercule Poirot collection, which has been on my reading plate for quite a while now. Incidentally my wife gifted this on my birthday. I’ve been through a couple of stories and loving the reading experience thoroughly. There is so much to love about the character called Poirot isn’t it! A small guidance/word for our readers/writers? -It’s a simple mantra. You have to try and evolve with whatever you are doing. So hone your skills, understand your strengths and work on your weaknesses. But do not be scared to take risks. It may or may not pay you well, but you would have definitely come out enriched. And keep reading and writing. It will hold you in good stead. Amman is a travel writer on an assignment in Shimla. A happy-go-lucky guy that he is, Amman stumbles upon a girl named Ayesha who captures his heart and changes everything that he has ever known. Their attraction for each other turns into love that cannot be described in a few words, and both end up falling in love at the end of a road journey through the beautiful landscapes of Himachal. From the start of the book to the end it is a sweet and soft read which is bound to mix in emotions. The cover is really nostalgic and the title really pulls you to read. The description of each event really is good. It goes about the story of two people meeting accidentally – falling in love and then parting away. And then comes the twists and turns of the story which have been written meticulously. The detailing of himachal and the conversations between them. The book seemed to be a bit lenghty at places. A simple story with hope, remembrance and love which entangles us all. What happens when the world’s best detective realizes that his prodigy has become a wanted global con artist? Prepare for a wild cat-and-mouse chase around the world. This book is a short read of 18 pages which starts of news Guinness records of Sir Lingham which is a funny name and also has a story behind it( in the end it leaves on a note of sarcasm). Reading this is definitely going to leave you with a wide grin and exhilaration. The book is paced well with proper description of characters and events. The cover goes along well and the title does justice with the funny ending of the story. You will definitely feel glued to the story. Starts and ends on a high note. The characters are few with proper description. The book sort of felt like the scene of dhoom where hrithik takes away the diamond. The book is written brilliantly with wit and humour. Blessings are a wonderful gift from the Almighty which come when you pray with a true heart. This book unravels those moments when such blessings are received and life takes a pleasant turn, resulting in everything falling in place. 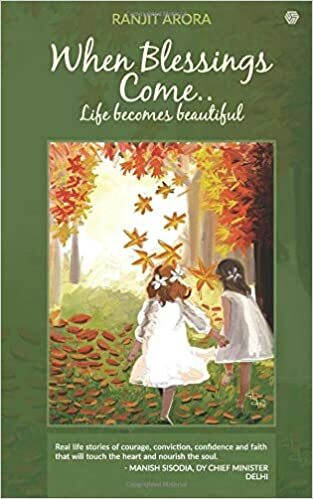 The book is a collection of short stories from the author’s own life and of his dear ones where the Almighty showered his blessings, thus ending their struggle and gifting beautiful and joyous moments. Although difficult to understand, everybody experiences situations in life when their prayers are answered and tough times in hindsight seem to bring the most positive changes. The author has succinctly narrated how he handled tough situations with courage, conviction, and impressions others left on him that shaped his life. The stories hope to make the readers relive similar experiences from their own lives. Life becomes beautiful when you develop new relationships, turn strangers into friends with a good attitude and empathy, and express gratitude to people who are the harbingers of good tidings and to the Almighty for His blessings, sometimes consciously summoned or naturally received. Blessings can come in various forms in the smallest of package or something really life changing. This book is a personal book full of incidents that has happened with the author from school-college too even writing the book. Everything can be possible with the help of blessings and realizing those small incidents that take place in one’s life. 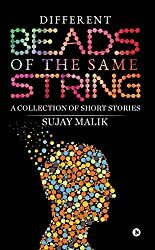 This book is a collection of happenings from his life into short stories. Every story is from a different time period of his life. The book is kind of a one time read with personal incidents one might relate to. I felt some of the stories in this book very mediocre. The cover goes well with the title but I feel the book could have done better. A one time read with light stories and incidents that will refresh your memories. But if you don’t take care of the chaos going on in your head, you are still unhealthy! The mind is at war almost all of the times. Thinking too much, nothing and suddenly everything may seem to go out of hand in no time. This book is about mental health and how de-cluterring it will help in an enormous load of from the life and make living easy. 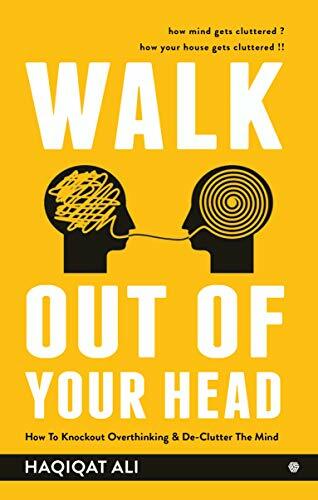 This book helps you realise that life is not impossible and anything can be done if you set your mind to. It is all about letting your mind sending signals and help you live better. The book has various chapters dealing with steps on how one can de-clutter there are personal incidents given by the author. The cover has a bright and positive effect on the reader. Easy language and a light short read as if you are having a conversation with your friend over coffee. Informative-short and enlightening!